Want to decorate your photos? Discover plentiful decoration options in Frames and Effects section! First of all, there is a collection of 60+ picture frames in various styles. Some of the frames will give your photos an antique or classical look, while others will add a touch of color and whimsy. Adding or changing a picture frame is easy as ABC: select the photo on the canvas with a single click and then double-click on the frame you like. 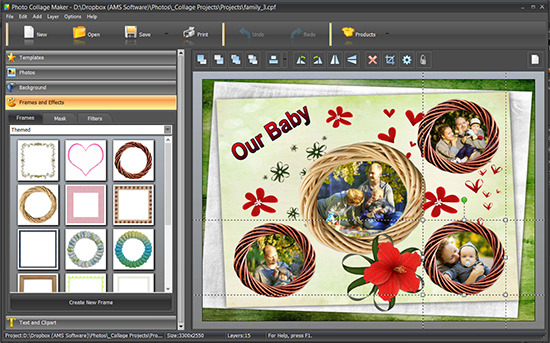 The software will automatically fit the photo into the frame, no matter if it is square, round, or even heart-shaped. Another way to decorate a photo is adding an image mask - this way you can change the shape of the photo. 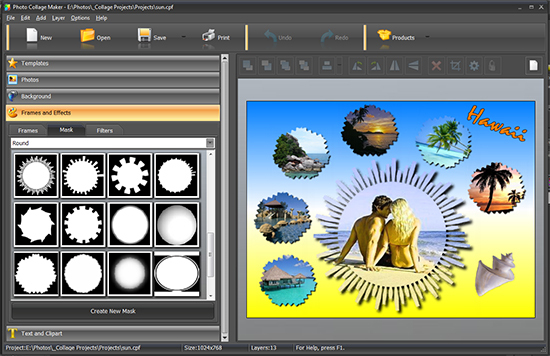 Photo Collage Maker has a collection of 150+ masks of different types: round, rectangular, gradient, themed. Gradient masks let you blend the borders of the photo with another photo next to it or with the background - master this technique to create fantastic designs! And here's one more great thing: Photo Collage Maker lets you apply a picture frame and a mask to the same photo at a time! You won't often find this feature in collage software. 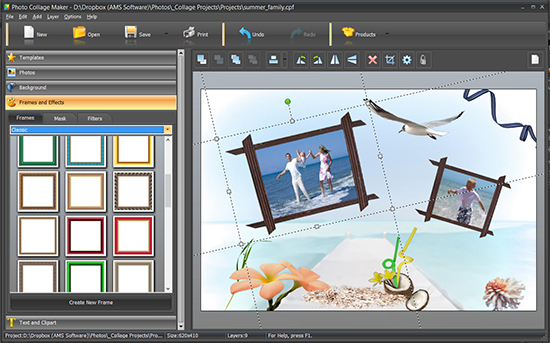 The Frames and Effects section also includes image filters which deserve special attention. Filters can be used for creative photo editing.